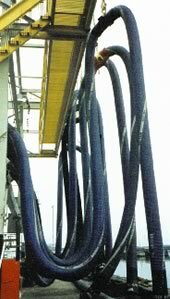 Durable and versatile, NovaFlex Uni-Chem Composite hose is manufactured for both in-plant liquid transfer and rail car loading/tank truck delivery. 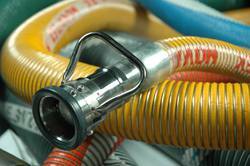 At Arm-Tex, we offer Uni-Chem PG, PS, SS and SG models of Uni-Chem hose. 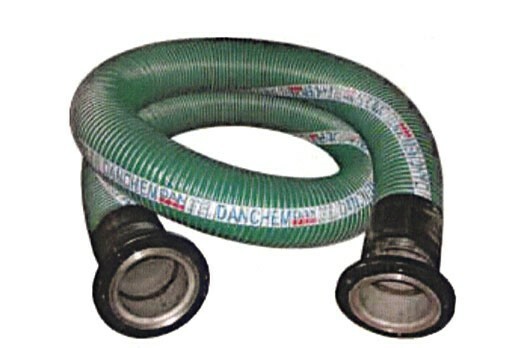 Comprised of multiple plies of polyester vapor barriers and polypropylene films, these hoses may be operated at full suction or positive pressure. They're also flexible, lightweight and boast optimal chemical resistance to aggressive media. Available in a complete spectrum of advanced fabrics and films, Uni-Chem Composite Hoses come with externally-crimped dry seal fittings from 1- to 8-inch diameters. Fluid handling operations require reliable, high-performing products from experienced distributors with decades of knowledge. For over 30 years, Arm-Tex has delivered the finest products on the market to help its valued customers solve their greatest challenges. Throughout the years, we've built lasting relationships with highly-regarded manufacturers. This allows us to provide the industry's finest fluid transfer products at cost-competitive prices. Contact our office to learn more about Uni-Chem Composite Hoses, along with our many other leading-edge products.